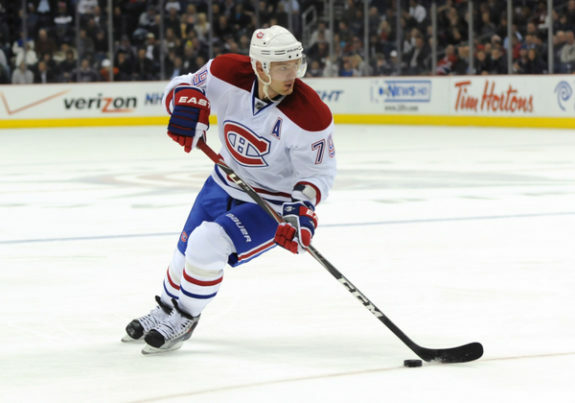 For fans of the Montreal Canadiens, this year has been a fiasco. This was not mere misfortune we are talking about, and it cannot be properly described as hard luck. It was a calamitous collapse of epic proportions. An unmitigated disaster. A catastrophe brought about by hubris and managerial incompetence. It is time to grieve for a lost season. Why? As predicted, the Canadiens lost three games to their once archrivals, the Boston Bruins. With those losses, their ludicrous longshot hopes of squeezing into the playoffs essentially came to an end. Those of you looking to make sense of this season might consider the five stages of grief. Formally known as the Kübler-Ross model, this approach postulates a series of emotions experienced by people facing a loss, usually of a loved one where emotions like anger and depression are normal and distinct from mental illness. Addressing one’s grief is not the same as ending the stigma around mental illness as outlined in the useful tools, resources, and links offered by Bell Media. It is important though. Grieving is about working toward making peace with something that is initially painful. It is ok to grieve. It takes time to heal. The five stages of grief are denial, anger, bargaining, depression, and acceptance. Looking back, I can see each of these reflected in my assessment of the Habs since September. The first stage is denial. It ain’t just a river. Denial is a coping strategy where we deny our feelings of grief. Back in September, I tried to consider how Habs fans could stay positive, despite the pessimism that had been building since last summer. Losing out on Alexander Radulov was not good and the unceremonious departure of Andrei Markov left many scratching their heads. While I noted that no one seemed to know what exactly the plan was, I also pointed to some positives. A new coach, a new potential French-Canadian star, a new look on defense (Ug), and even the cap space as reasons to stay positive. Sometimes, however, pessimism is just good common sense. Fandom means loving your team and letting people know when you don’t think they have reached their potential. You don’t have to be either with the Habs or against them. You don’t have to agree with every decision the team makes. Finally, you don’t need decades of pedigree to have an opinion or want to share it. Yep, I guess I was a little angry. Nothing exemplifies bargaining in Habs land this year better than the near constant suggestion that the Habs will sign John Tavares. It was everywhere, from radio broadcasts to Islanders fan sites, to TSN, and on Hockey Night in Canada. I tried to avoid this line of thinking. It is just too good to be true. Instead, my attempt to reconcile this year focused on the hope that it would usher in some long overdue changes. We want life returned to what it was and we want to go back in time. I see now that I was bargaining. 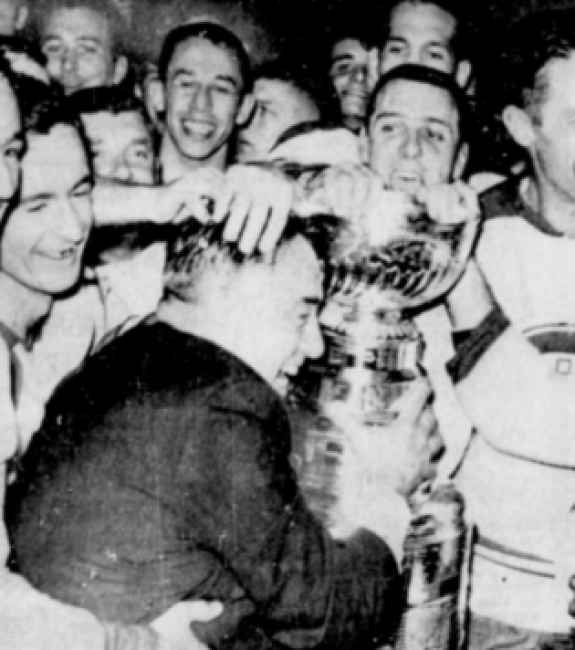 Habs celebrate 1966 Stanley Cup win. Molson should prepare himself for criticism. Firing both his GM and head coach will result in serious side eye from other organizations. Finally, the media in Montreal will have a field day. Some francophones will feel slighted if their Habs hire a new GM and head coach that are not fluent French speakers. Unfortunately, fans may stay away for the first year. Mr. Molson will sell less beer. The Bell Center will be even emptier than it was in some games this season. Ownership and the Board will have to steel themselves for thought pieces like this one, irate talk radio hosts, and economic hardship. They will have to accept that this sort of reimaging may not be successful. My readers responded in such numbers that the THW editors decided their views deserved a subsequent article. In that piece, I highlighted some useful comments and offered some reflections on the points they raised. It was clear that I was not the only one bargaining. Depression is the stage in which people work through the reality of a loss. Sometimes folks can get stuck here. It is no joke. However, if grief is a process of healing, then depression is one of the necessary steps along the way. Sometimes humor is the only way to handle it. My depression took a funny turn. 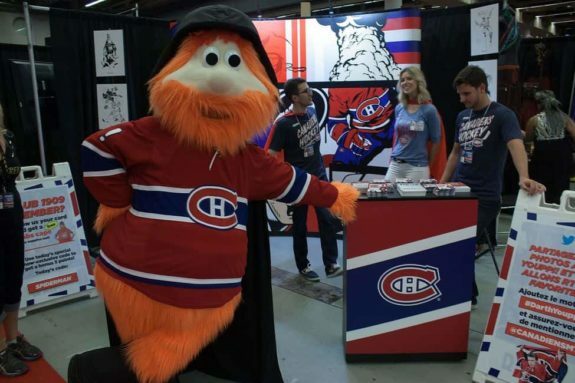 In a series of hopefully humorous articles, I suggested Youppi would be a better GM than Marc Bergevin. 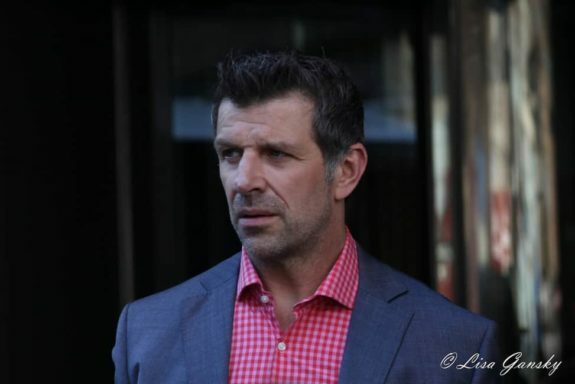 I later argued Bergevin’s suggestion that the “answer was in the room” was an oblique suggestion that fans demand that the GM come out of retirement and suit up for the Canadiens. Acceptance is the final stage of grief. While acceptance is not the same as saying “Hey, everything’s ok,” this stage is about accepting reality. Something we love is gone. This stage is about recognizing this new normal. We may never like this reality but, eventually, we must accept it. For me this meant accepting that the Canadiens have some seriously bad contracts and that Bergevin is responsible, not just for the current roster but also the consequences of his decisions going forward. While one poor press conference should not be enough to dismiss a GM, deluded detractions that dismiss reality might be. Ultimately, for Habs fans, acceptance means realizing unless Geoff Molson moves on from Bergevin, they need to find a way to learn to live with mediocrity in Montreal. So where are you Habs fans? In what stage of grief do you find yourself? How are you coping?